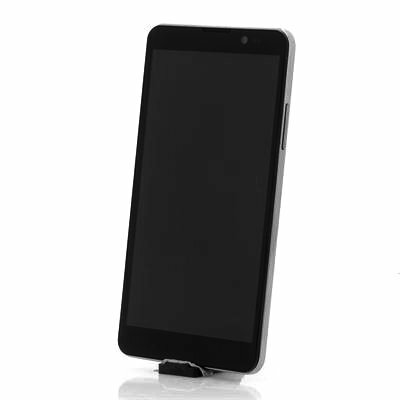 Successfully Added thl T200C 6 Inch Octa Core Android 4.2 Phone - 3G, MTK6592W 1.7GHz CPU, 1280x720 IPS Screen, NFC (Black) to your Shopping Cart. 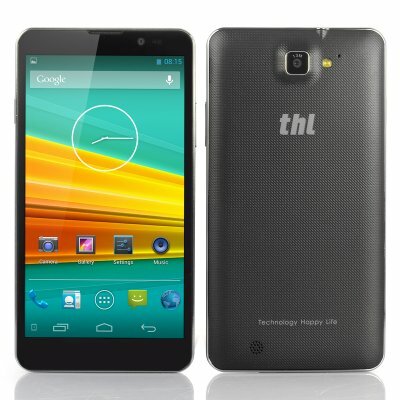 thl T200C 6 Inch Android 4.2 Phone smokes the competition as it has 3G connectivity, a MTK6592W 1.7GHz CPU, NFC as well as a 1280x720 IPS Screen. Chinese Android phone specialists, thl, have struck again with their T200C smartphone, which has a fantastic performing turbo octa-core processor. Using a MT6592W turbo CPU, this phone can clock speeds of up to 1.7GHz, plus, once paired with the 2GB RAM, it gives the user a tremendous performance that will scare away any of the high street branded mobile phone competitors. A large 6 inch screen ensures that the thl T200C is totally in charge in terms of size. It even boasts an impressive 1280x720 display resolution, which makes it ideal for watching movies or playing games. The screen itself uses IPS (In-plane switching) panel technology to display consistent, accurate color from all viewing angles, as well as eliminate blurs. A smartphone can't be called smart if it doesn’t have an Android operating system. The thl T200C, featuring Android 4.2 Jelly Bean, means you get one of the most modern and fastest operating systems on the market, which allows for custom lay-outs and personalized settings. In the Google Play store, the user can choose from thousands of applications. The thl T200C Android phone has 3G connectivity meaning no matter where you are located, you can also call or surf the web, basically abolishing limitations. NFC (Near Field Communication) is available so making the transfer of data such as photos between friends even easier. As long as the other person’s phone has NFC, the user can use NFC technology to quickly send the file just by holding the phones close to each other. In stock now, we guarantee that this turbo octa-core Android phone can be dispatched within one working day with a 12 months warranty. Brought to you by the leader in electronic devices and wholesale Android phone, Chinavasion. there is no protective case options other than the leather flip case! Lucky for me i work in a fabrication shop and am making my own. Figuring out how to move files from phone memory to sd card if you forget to set the phone as mass storage and or designating the default storage location when downloading from computer. Could be just me but haven't found a decent a file manager yet to help with that issue and haven't found a program that comes already installed on the phone. Waiting 3 weeks for delivery to the USA, but it was worth it!!! Phone is really good for 3 days use without recharging.